Deal’s Oyster House in Perry, Florida–A “Must Stop” For Great Seafood! 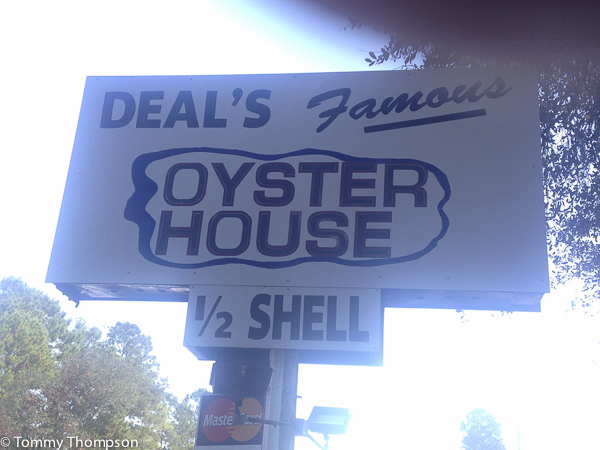 Don’t drive too fast on US98 west of Perry or you might miss Deal’s Oyster House. This unassuming white building is home to some of the best seafood in the region and as they tell you “The finest people in the world come through that door”. Of course, oysters (raw or fried) top the menu choices, but there always fish and shrimp for those folks who don’t eat the oysters (or in the summer months when the oysters are not as tasty). You can also get a plate of delicious fried mullet, or if you’re there in colder months, a plate of fried or broiled sheepshead. Side dishes are outstanding, too. Expect to get some of Deal’s famous hushpuppies, their sweet cole slaw and grits with every entree! 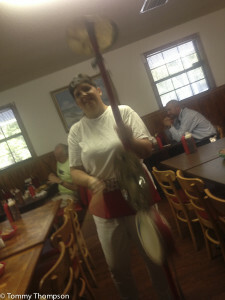 Deal’s is about 2 miles east of the intersection of US98 and US19 in Perry and is open Tuesday through Saturday for both lunch and dinner. 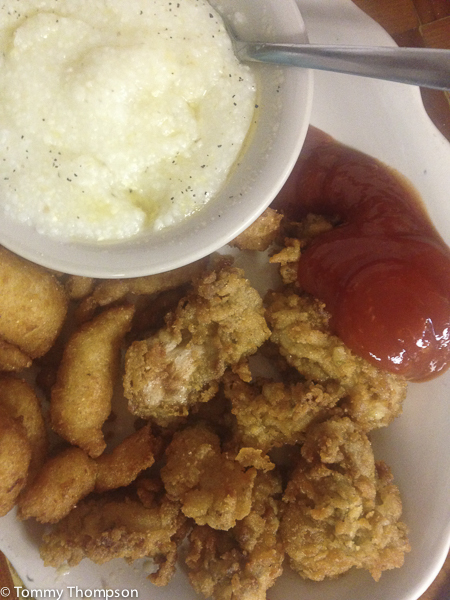 A true Big Bend favorite: fried oysters, hushpuppies and grits at Deal’s Oyster House in Perry.